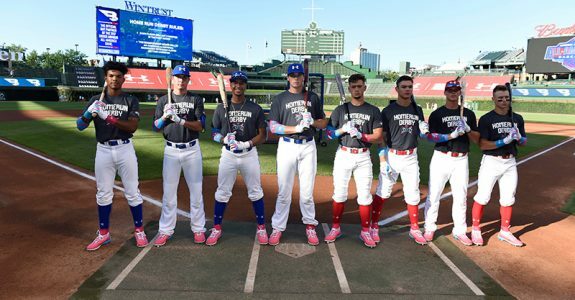 Check out the exciting results of the 2017 Under Armour All-America Game Home Run Derby, presented by B45. National squad player Nander De Sedas moved onto the final round after hitting nine home runs. American squad player Nolan Gorman hit six and moved on via a tiebreaker to face De Sedas in the final round. In the exciting finish, Gorman walked it off on his final swing, 6-5, taking home the championship belt.